One-fourth of the women in the United States are victims of spousal abuse or spousal violence at least once in their lives. That is the disturbing finding of the U.S. Centers for Disease Control and Prevention. Nearly one million incidents of domestic abuse are reported in this country every year, and 85 percent of those incidents are reported by women. Domestic violence and spousal abuse can never be tolerated. In the state of California, spousal abuse is considered a particularly heinous crime. If you are a victim of spousal abuse in southern California – or if you become a victim in the future – the Bayati Law Group can help. Any individual who is convicted of spousal abuse in California can expect a harsh sentence, no leniency, and a considerable amount of time in a county jail or a California state prison. In the law books, spousal abuse crimes in California are a subcategory of domestic violence. If the crime can be proven beyond a reasonable doubt, offenders who are convicted spousal battery or convicted of corporal injury on a spouse can face substantial criminal penalties and consequences, including jail time, probation, counseling, and fines. A domestic violence conviction stays on the abuser’s record, making it difficult to find employment or a place to live for years to come. Criminal charges and prosecutions, however, may not always be the most effective way to stop spousal abuse permanently. Proving the crime “beyond a reasonable doubt” in a criminal proceeding can be quite difficult, so even if your abuser is charged, a conviction is never guaranteed. An acquittal simply puts the abuser back in the community and the victim again at risk. There are a number of other options for dealing with spousal abuse and domestic violence that may, in some cases, be more effective and practical than criminal charges. In southern California, if you are a victim of spousal abuse, get the practical help and sound legal advice that you need by consulting as quickly as possible with an experienced Orange County spousal abuse lawyer at the Bayati Law Group. An experienced California family law attorney can examine your situation and explain the available legal options for dealing firmly and effectively with spousal abuse issues. Spousal abuse can also in many cases be subtle. Understated, long-term emotional, verbal, or psychological abuse should never be tolerated even if the behavior is not “technically” criminal. Let an experienced Orange County spousal abuse lawyer at the Bayati Law Group look at your case and explain your legal recourse and alternatives. In some cases, you may seek to obtain a permanent restraining order against the person who has abused you. In other cases, you may choose to involve the police and pursue criminal charges. Call the Bayati Law Group to speak to an Orange County domestic violence lawyer who has the knowledge and the legal experience to help you make the right decision when dealing with spousal abuse. Restraining orders are sometimes issued by the court to the victims of spousal abuse. The most common reason a restraining order is issued is because an abuser is violating domestic violence laws. Such violations can include but are not limited to: harassment, assault, terroristic threats, criminal trespass, stalking, kidnapping, burglary, lewdness, criminal mischief, false imprisonment, and sexual assault. An experienced Orange County family law attorney at the Bayati Law Group can help spousal abuse victims file the restraining order request forms, Form DV-100 and Form DV-110. A judge will then determine – within one business day – if you have sufficient legal grounds to obtain a restraining order. If you are granted a temporary restraining order, it is effective only for three weeks, but a formal hearing will be scheduled regarding a permanent restraining order. Have a good family law attorney accompany you to that hearing, and bring any evidence – police reports, photographs of injuries, or anything else – that verifies your need for a restraining order. A restraining order prohibits the abuser from coming within a specific distance of you, your home, workplace, or school. You can also request an order that prohibits any contact by phone, by mail, or online. If the accused is also your household’s primary breadwinner, you can request the judge to order the abuser to continue paying mortgage, rent, and other essential bills. 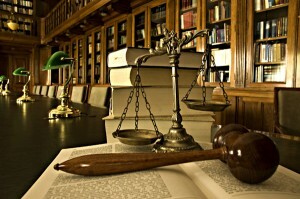 It is imperative to understand the details regarding restraining orders. Don’t attend these hearings alone. The abuser will most likely have a criminal defense attorney on his side, so you need an attorney on yours. Before the hearing, a family law attorney with the Bayati Law Group can help you understand all the important aspects of a restraining order. The attorneys at the Bayati Law Group work diligently to protect the rights and interests of our southern California clients who are the victims of spousal abuse and domestic violence. We help our clients find the legal remedies that allow them to move forward meaningfully and constructively with their lives. Our lawyers have the legal knowledge, experience, ability, and the tenacity to handle the most contentious of family law matters, including those involving domestic violence charges. Whether you need immediate protection and help to deal with spousal abuse, or if you simply need legal advice and guidance to help you make plans for your future, an experienced Orange County family law attorney with the Bayati Law Group is available to offer an assessment of your situation, to explain the full range of your legal options, and to help you make the right legal decisions for yourself, your children, and your future. Every Bayati Law Group client and prospective client is treated with complete respect and is extended every professional courtesy. Every client phone call and email is returned promptly by someone in our office. You can arrange a consultation today with an experienced California divorce attorney at the Bayati Law Group by calling (949) 798-5700 or by completing the form on the contact page of this website. The contact page on this site also contains a map, which will help you easily locate our office. The Bayati Law Group represents clients in all matters regarding spousal abuse, domestic violence, and family law in Orange County and across southern California.